This post comes from Martin Andelman. The low approval rate on modifications Martin discusses is the main reason why you should hire an attorney to do your modification. Our success rate on modifications is much higher, around 80%. Of course, part of the reason why that is so is that we do not take cases where we are not reasonably confident that we can get a positive result. During the month of May, which is the most recent data available from the Treasury Department, Nationstar Mortgage’s servicing operations approved 601 loan modification requests… and denied 4,216. That’s a 12.5 percent approval rate for the month of May. Cumulatively, based on program-to-date data through the month of May, Nationstar only approved 22 percent of the loan modification applications it has received from borrowers. I don’t care which number you choose, as an approval percentage, either one is just beyond awful… perhaps even unbelievably so. Why do I say that? Well, because through May of this year… AT BEST… that’s LESS THAN HALF the percentage of approvals granted by CitiMortgage (43%), Bank of America (45%), JPMorgan Chase (30%), or Ocwen (24%),according to Treasury. That Bank of America placed first with a comparatively respectable 45 percent, came as absolutely no surprise, to me anyway. But, as far as CitiMortgage is concerned… well, I’m just completely convinced that they count the modifications they offer unilaterally to borrowers… as in the ones some people just get in the mail even though they never applied. Either that, or maybe they’re counting each one twice, because I hear about Citi modifying a loan only slightly more often than I hear about Fannie Mae granting a principal reduction. If you’re mortgage is serviced by Bank of America, try to get it modified NOW… it’s a much better process than its ever been in the past. Don’t wait until you find out that the servicing rights related to your loan have been sold, because when that happens, you’re going to wish you still had Bank of America to kick around while applying for a loan modification. Gimein’s article, “For Mortgage Borrowers, This Could Be a Frying-Pan-and-Fire Moment,” explains that roughly half of the servicing rights that Bank of America sold to Nationstar this year were sold as a result of the bank’s $10 billion settlement of a lawsuit brought by Fannie Mae. Fannie Mae, it should be interesting to note, has been accused of “secretly” increasing its use of sub-servicers, arranging for the transfer of servicing rights away from Bank of America and other bank-owned servicers, to Nationstar, Green Tree, Seterus, and one other whose name has not been disclosed, even though a Freedom of Information Act request has been filed. 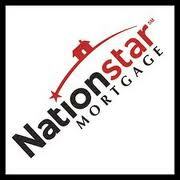 According to American Banker, Nationstar picked up 40 percent of its volume from Fannie during the last two months of 2010. Now get this… it appears that these transfers are part of Fannie Mae’s strategy to make it more difficult for Congress to “dismantle” it altogether, something both many in Congress and more recently the Obama Administration have threatened to do. Paul Miller, managing director of FBR Capital Markets, told American Banker that Fannie’s secrecy is likely motivated by political pressure since both sides of the aisle in Congress have the GSE on the hot seat and are hoping, at best, to revamp Fannie and, at worst, to dismantle it completely. The transfer of servicing rights to a select group of undisclosed sub-servicers could be a way for the GSE to cement its place in the mortgage market, American Banker posited. It’s no secret that the relationship between Bank of America and Fannie Mae has been strained, to say the least, for some time now. In February of 2012, for example, after being Fannie’s third largest source of new loans in 2011, Bank of America announced that it would no longer be selling new mortgages to Fannie Mae. Freddie Mac… yes. Fannie Mae… not anymore. The fight between the two giants of the mortgage industry was largely over Fannie’s insistence that Bank of America buy back loans that had defaulted since the financial meltdown started… and my guess would be that the bank felt that many of the defaults were caused by the dramatic downturn in the U.S. economy and not its origination and underwriting practices. But, there are other reasons that cause Bank of America and other banks to dislike working with Fannie Mae especially when trying to get loans modified. Although banks might not admit it publicly, there have been many occasions where Fannie’s unwillingness to approve modifications, or be more accommodating in order to give borrowers more time to reapply after being denied for a HAMP modification, have harmed the bank’s reputation among homeowners. For example, Fannie Mae controls its own inventory of foreclosures, and I’ve personally seen times when a bank’s representative has told a borrower they could reapply for a loan modification, only to find out that the home had been sold days later… by Fannie Mae. As I said, the banks would be unlikely to say it publicly, but I cannot imagine that sort of thing going on over time without it having a profoundly negative impact on any business relationship. When we identify a segment of our loans where credit losses may be substantial with the existing servicer, we will facilitate a transfer to a specialty servicer that has capacity and expertise in handling high-touch loans,” Amy Bonitatibus, a Fannie spokesperson, told American Banker. “We currently work with four specialty servicers who have all helped us to reduce credit losses by working more closely with homeowners to prevent foreclosures. Yeah, and if that’s supposed to be what servicers like Nationstar and Green Tree are doing, then I wish they’d cut it out and start being more distant… because the closeness isn’t having the desired effect. This is not just about Bank of America. One West Bank dumped all of its servicing operation into Ocwen Loan Servicing a month or so ago, and although last year I would have said that Ocwen was among the best at modifying loans, ever since the company acquired more servicers than I can count on one hand, they’ve certainly dropped down a few large notches. Chase has gotten into the act too, this past February selling off its servicing operation in Melbourne, Florida to a Dallas-based company called Wingspan Portfolio Advisors, and Wells Fargo dumped at least $12 billion in servicing to an outfit called Walter Investment Management, and is said to be considering further sales. Look, as a business person, I do understand the impetus here. Bank of America’s CEO has a fiduciary duty to maximize shareholder value, and let’s face it… servicing mortgages these days simply can’t be worth the money involved. Servicing was a good business when the computer system did most of the work, and no one ever called to apply for a loan modification. Today, it’s got to be almost like you’d feel if living in Detroit and taking the bus to work the swing shift at the city’s tourism office because you’re five years from retirement and need your pension. But that doesn’t mean that the sub-servicer has to be as willing, competent or even as interested as Bank of America was related to modifying loans… and clearly Nationstar is not on all three counts. The transferring of servicing rights is only one part of why I’ve tried to encourage borrowers to keep trying to get their loans modified with Bank of America or even with whichever bank is servicing their mortgage now. To my way of thinking, non-bank servicing companies like Nationstar, Green Tree and the rest, simply aren’t likely to be concerned about their reputations as are the brand name commercial banks, so they won’t be as likely to approve a loan modification. And I think Nationstar’s terrible modification approval percentages are early evidence that I’m right about that. In addition, several recent court decisions were made in favor of borrowers based on servicer misconduct in the loan modification process, and I think that is something we will likely to see more of in the coming years. Next, however, will be the debt buyers who are already purchasing non-performing loans in record number this year… and that will continue next year as well. I can’t imagine that these new owners of loans are buying them in order to modify them… it only makes sense that they’ll want to foreclose as quickly as possible in order to re-sell the properties as quickly as they can. I’m not the only one saying this is what to expect going forward. Impac Mortgage President, Bill Ashmore talked about the same thing when he was a guest in late June on a Mandelman Matters Podcast titled, “Everything You Need to Know About Mortgage Backed Securities with Impac President William Ashmore.” And if you haven’t made the time to listen to what Bill has to say, you are truly missing out. Remember, Impac is the mortgage banker who did right by homeowners, and protected shareholders and bondholders by modifying loans before they went into default, taking their losses, and not taking a dime of taxpayer money. Truth be told, Impac is the mortgage bank that PROVES that the foreclosure crisis COULD have been handled very differently. Impac has proven that it knows how to modify mortgages in large number… so, why aren’t we seeing servicing rights transferred to them. I guess that would make too much sense? Whatever. All I know for sure is that homeowners shouldn’t back away from trying to get their loans modified by their bank… especially if we’re talking about Bank of America. It’s not like the process is going to be fun, but none of this is ever going to be fun. And once someone finds some sub-servicer is now calling the shots, or that some debt buyer they’ve never heard of is saying they now own their loan, it’s likely that the process will only get significantly worse. I’m not saying any of this because I’m not on the side of homeowners. I want every single home that can be saved from foreclosure… to saved from foreclosure. I’m just calling the situation the way I see it… take it for whatever you think it’s worth.